A South Texas woman gave a small bag of dead cockroaches to a city official to protest newly planted palm trees that she blames for more unwanted bugs in her neighborhood. 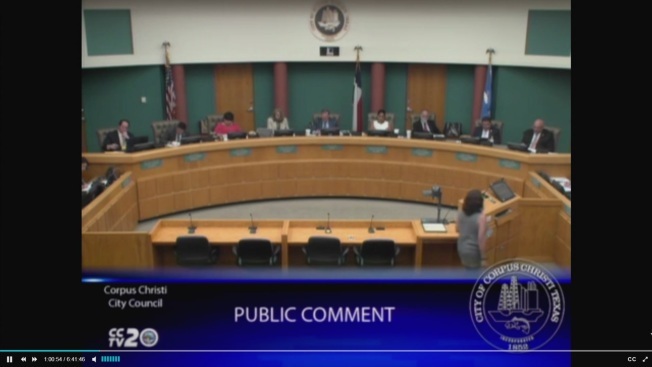 Patricia Polastri on Tuesday told the Corpus Christi City Council that she's seen more rodents and unwanted insects, including cockroaches, since the trees were planted. She asked council members to reconsider the landscaping, which includes more than 150 palms, and to plant the trees across Corpus Christi.